Backyard pools are becoming increasingly popular. It is not uncommon for several houses on one block to have a swimming pool in their backyard. Just like your house, you want to make sure that your swimming pool is the most awesome one in the neighborhood. We know the feeling. That is why we put together these 6 tips to help make sure you have the awesomest pool on the block. A truly awesome pool needs to be awesome right from the beginning. Giving your pool different entry options makes it fun from the start. Of course you will have traditional pool steps, but other points of entry are a must. You could do a zero entry pool so you get that fun beach feel. Or splash into your pool from a twisting, turning water slide. Of course everyone loves the classic cannonball entry, which makes a diving board another great option. Whichever entry you choose, it will go a long way towards making your pool a step above the rest. Sure all pools have lighting so owners can enjoy their pool at night, but awesome pools have light shows! Adding, high-end lighting like ColorLogic LED lighting from Hayward is a great option. You can change your lighting color to fit your mood and put on exciting light shows while your guests enjoy the awesomeness that is your pool. What about a fountain or two? Maybe a waterfall? It is pretty much impossible to look at a pool with a great water feature and not say, “Awesome!”. Water features will definitely put your pool a step above the rest. Everyone loves the latest and greatest gadgets. Wow your friends with some high-tech pool gadgets. Not only will your friends be impressed that you can control your pump and balance your chemicals with your phone, you will also be making pool maintenance a breeze. An awe inspiring pool doesn’t just stop with the pool itself. Landscaping that compliments your pool is a must. Adding the right plants and flowers around your pool area gives your pool that little something extra. The final thing that is going to make your pool more awesome than your neighbors, a fun atmosphere. Throw in some pool floats, crank up the music and let the whole neighborhood know whose pool is really the awesomest pool on the block! 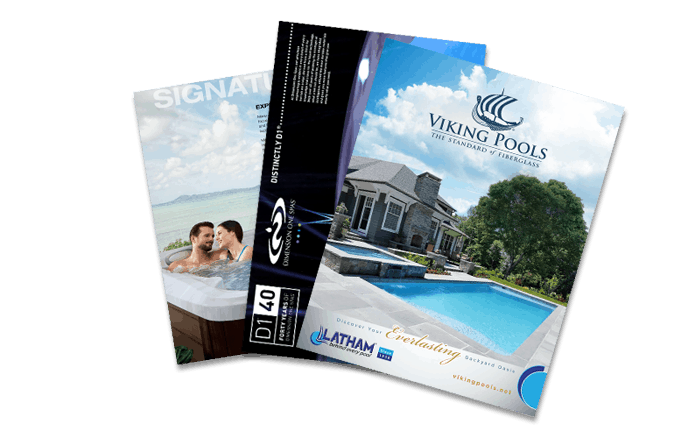 Ready to plan your pool? Get your ideas together and come see us at Aqua Pools. We love building the most awesome pools in all of Chicagoland.